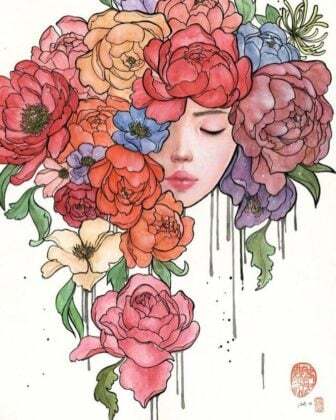 Winnie Truong is a Canadian artist who works chiefly in pencil on paper. 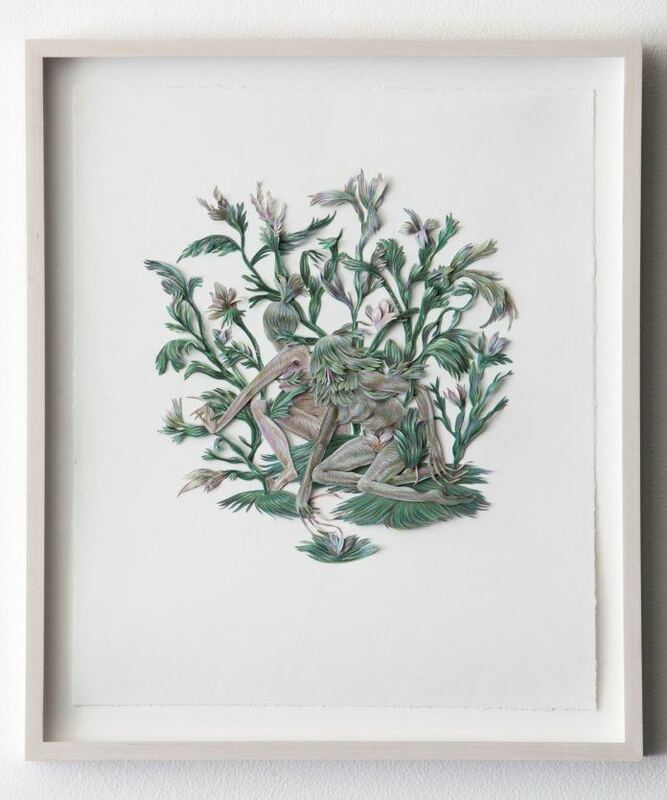 Her works are small but powerful; combining beauty and the grotesque to create alluring forms that seem to be in constant motion on a static page. 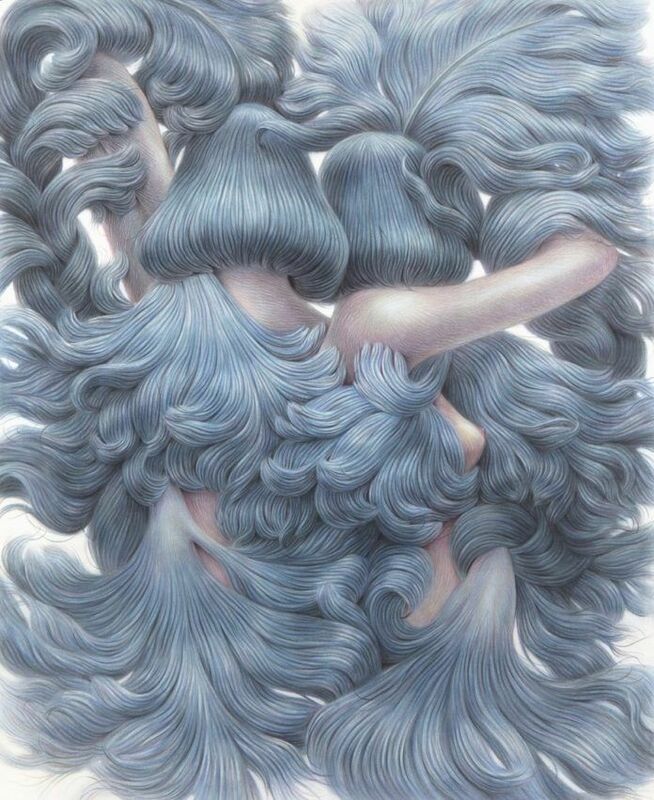 She uses color pencils to create a hair texture that she uses throughout each art work. 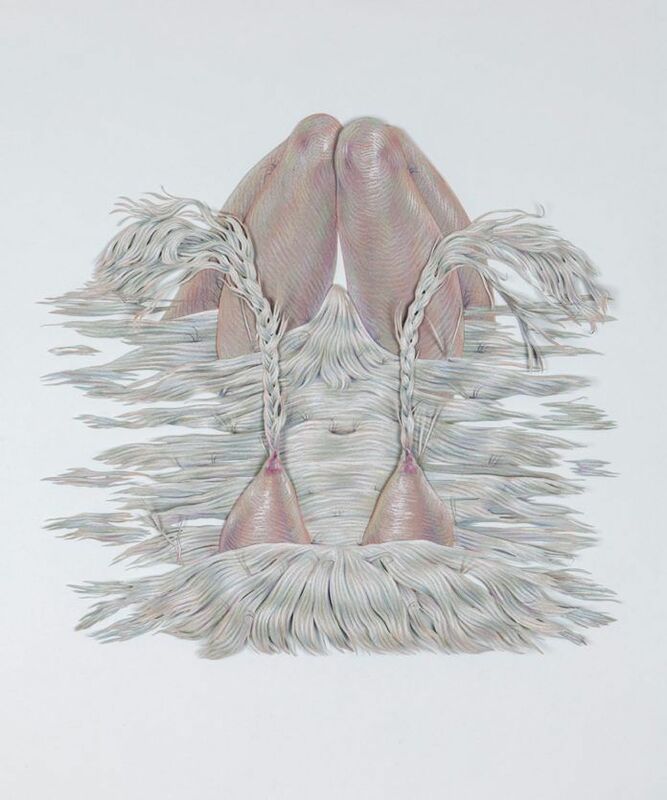 This hair texture can be seen drawn into the bare skin of her female nudes, in the plants that often surround the figures and of course, in their hair. Pencil crayons are the perfect medium for creating hair textures because they can be sharpened to a fine point which is perfect for drawing individual strands of hair, or the pencil can be blunted to offer smooth shading and gradients that give depth to the hair itself. 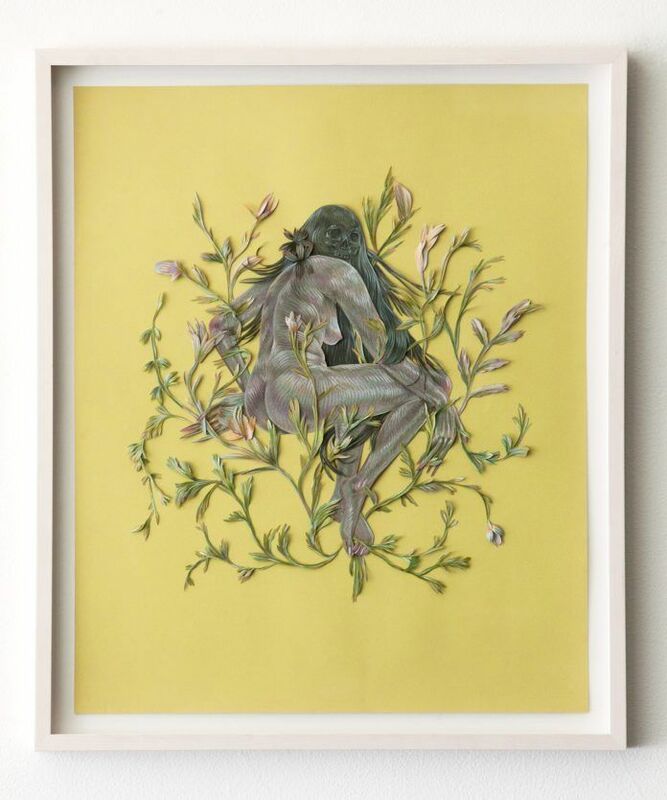 Truong often cuts out her pencil women and mounts them on card of a single color. 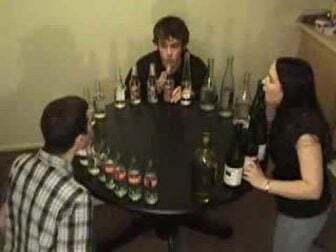 This creates two effects. First, the female nudes are often colored in soft pastel colors that stand out against either a bright, light background or a darker background. Secondly, the delicate fronds of leaves or strands of hair seem even more fragile when cut out so carefully, which gives the female character a very vulnerable and precious air. 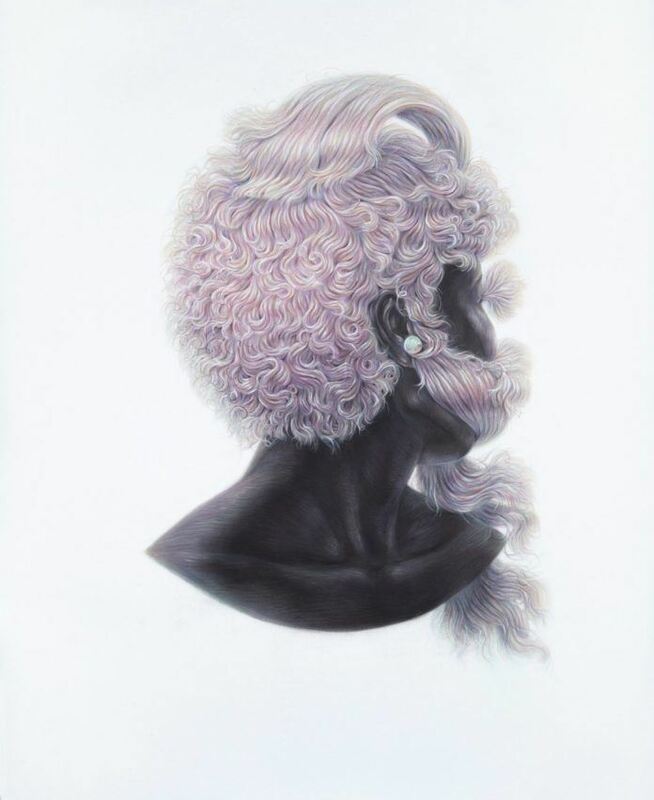 Winnie Truong’s art proves that pencil crayons can do so much more than just coloring in coloring books; it proves that pencil art should be taken seriously. Her individual drawings sell for hundreds, even thousands of dollars and she is fast becoming a sought after artist worldwide. 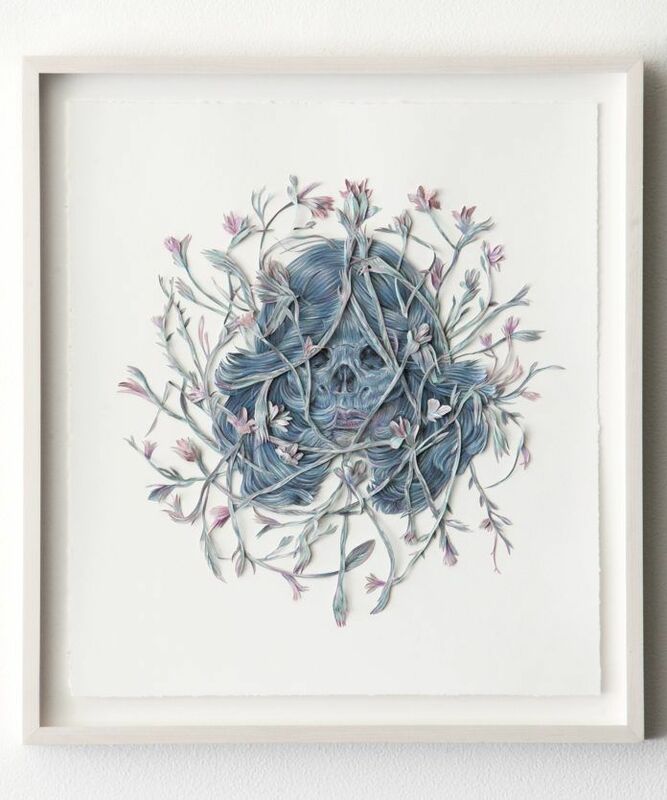 You can see more wonderful pencil and cutout art by Winnie Truong on her website or on her Facebook profile.